No one chooses the color of their skin, no one chooses where they were born, some will even argue that you can’t choose who you love. I travel and do business in 42 countries and I will tell you I have never seen a world more divided. We should be blessed that we live in a world where we have iPhone’s, technological advances, disruptive innovators and people who dedicate their lives to the advancement of this planet and humanity. About 13 months ago I embarked in an experiment that I called Mega Speaker (click here). I created this event at first because I didn’t think there were enough female platform speakers on the circuit. Well, the Mega Speaker review results don’t lie. After 1 year I created more women and men speakers than anyone on the planet. I visited 25 countries and over 68 cities and I have seen people at their best and at their worst. I was also blessed to see a great group of entrepreneurs who truly want to live a life of significance and truly create a legacy for others. Sure the money is great when you are a speaker but nothing is more satisfying when someone says thank you for changing my life. So I speak on the biggest stages in the world with 1,000 to 10,000 people. At Mega Speaker I share very intimidate details on behind the scenes, how it all works, and what it really takes for people to succeed in this business. It’s not easy but there are legitimate short cuts and potential landmines you need to avoid. There is no fluff or BS, just straight talk. I would like to equate this to a magician sharing his secrets to a small group of people who want to be magicians. I am very clear when I speak. I don’t want recordings, pictures, or press. The terms are stated on the website and on the admission ticket. Attendees cannot reveal the content of the seminars as I am doing this for FREE and make little to very little money. When I am on the big stage is when I make the big money. 99% of people are respectful of this but you always have a few people who ruin for everyone else. I guess in the same way I have to take off my shoes every time I fly in the US because someone 10 years ago tried to blow up a plane with his shoes. I feel incredible that I help so many entrepreneurs succeed but I lost my will to do FREE events and help people. Tony Robbins, Robert Kiyosaki, T. Harv Eker don’t show up for FREE events because they prefer showing up at an event where they can weed out the real entrepreneurs vs. ‘Wantrepreneurs’. I started doing this despite never doing so because I genuinely wanted to help people become top speakers like me. Thus despite my wishes a few will go out of their way to create negative blogs explaining everything they went through calling me a scam, fraud and I prey on people. They ignore all the live success stories that they hear at the event or the 30+ video testimonials of successful entrepreneurs validated by the media that are in my presentation. Then this incites other haters to comment and of course good news does not travel as fast as negative, just like weeds growing in your grass. When people do research they are looking for something wrong with you and even though 76% of reviews online are fake, people believe whatever they read because that is what they are seeking to find, an AHA moment, a validation of their suspicions. There are websites that are dedicated to collecting these bad reviews and turning around by extorting the person/business for a sum of money. If you want it removed and don’t pay them, those negative reviews will pop up on 20 other websites and then again on another 20 websites. It’s a never ending battle. It does not matter if you are a speaker, a broker or any other type of business this is happening every day to millions of people and businesses around the world. They never bought the product. How can it be a scam/fraud if they didn’t buy? Every single one of them is unsuccessful and don’t understand the business. They are upset when they find out you are selling something, however, ironically they are there to be speakers. How do they expect the presenter to make money? It’s like going a car dealership and then complaining they tried selling you a car. No one is forcing you to buy. In the reviews they never leave their name knowing very well that they could be sued for defamation or slander. If they didn’t like the FREE event, why did they stay all day? Why didn’t they leave? Why spend your negative energy complaining about something you got for FREE? Shouldn’t you focus on improving yourself? Bottom line is these people are out to hurt the individual they are going out of their way to attack. They are either jealous or miserable that their life is so bad and they feel it’s better to tear someone down rather than to build them up and see their success. The negative review was actually from a competitor. We have found that more times than ever. Once we get their IP address and found out who they are, they beg for mercy or offer a very large settlement as a sign of remorse. Every single one of them is BROKE with no money. Geezzz I wonder why. Have you ever meet a hater more successful than you? My Coaches Advice for a long Time was… but now… WAR! They always told me if you don’t want to be attacked stay at home and clip coupons. My friend Vanilla Ice, told me “don’t cater to a hater, just say later.” But about 2 months ago my coaches told me enough is enough. You can only poke the bear so many times before it will attack. I have assembled what is probably the Dream Team of attorneys that specialize in online defamation whose sole purpose is to sue people who do not respect my terms of service and who seek to cause me harm with fake reviews with the intent of hurting my business. Now some people who read this might say why don’t you let it go? My answer to you is see what happens when you lose clients and income because of a fake reviews and then tell me how you feel. Now these haters will claim they have a right to express their opinions and exercise their freedom of speech. This is where my lawyers and I beg to differ. You can say what you want but be prepared to spend $250,000 to defend yourself in court with filings, depositors and a trial. I will spend any amount of money to protect my good name. I am on magazine covers, featured on countless TV and radio interviews and can legitimately say I have created just as many if not more success stories than anyone on this planet. Hats off to Tony Robbins as well for doing the same. It’s funny when you fight back that these haters immediately cry poverty for lack of funds. Recently my all-star attorney in Zurich almost got the hater to go to jail because in that country calling someone a scam with no facts can be a criminal act. Funny how she begged for mercy, which I was inclined to give in because I did not want her to get deported from that country back to South Africa. This is kind of ironic because you would figure as a South African she would appreciate all the amazing things I have done in her country. This blog has been written not because haters have affected me but because I have decided I will not deprive so many entrepreneurs of a better life through my teachings. Instead I will turn my attention to those who seek to attack me and let the full extent of the law decide who is right or who is wrong. But if you are going to call me a scam or fraud you better make sure you have your facts lined up because your opinions will not save you. I want to officially announce I will be setting up a fund that will help small business who cannot afford attorneys to fight against haters who share fake reviews and/or fake news which results in costing them money, opportunities and even affects their financial future. I also encourage congress in the United States to create laws to protect small business and not let the big tech companies hide behind saying it was not them and they cannot control what people post. I will make this my new life’s mission in addition to children with cancer and youth entrepreneurs which are all very big passions of mine. Happy people don’t have time to go online and leave happy reviews because they are too busy living. However, I am blessed with the most amazing clients who have gone out of their way to write amazing blogs about how I changed their lives. These are real paying clients, not reviews from people who never purchased anything. Here is a sample below of over 10,000 of these positive reviews I have. (Please read them as they are genuine and from people all across the world.) They attacked the wolf and I came back with a wolf pack. To my Haters reading this. Haters always going to hate JT.. You’ve changed so many lives and helped so many businesses. Appreciate what you do! My experiences of attending JT Foxx’s events have been so positive, I wrote a blog about it. Thank you very much JT Fox! I somehow can imagine how you feel, because I also know what it means to have people around you who are jealous or called ‘haters’. But as I am not yet on the ‘big stage’ yet like you I cannor compare your ‘war’ against your haters. But you are doing the right thing and your coaches are right; enough is enough! kill your haters with keeping up what you are doing, supporting people as entrepreneurs, kill them with a big kindness! we know how precious it is what you are doing, just please never stop! JT Foxx & his fantastic organization made me better and confident person. Owing to his ideas and knowledge, I am now able to serve my clients better and make my client’s life better. JT Foxx has built a great culture of Family First all over the world. His organization provides a support system that enables great entrepreneurs as me to achieve their goals. I am inspired by your blog JT. I think you have handled things very well by making it your mission to help other businesses to fight against unfair and untrue bad reviews. It really does hurt people and more needs to be done to protect people against bullying etc in the online space. I’m so super grateful for all that you stand for and all the sacrifices you make to help your clients and students succeed. I’m very happy you are saying “enough is enough” and taking the required legal action to protect your brand. It’s the right thing to do. Thank you for being the best teacher and coach!! JT Foxx you changed my life. When I attended a Mega Speaker everything has changed since. My friends told me I was stupid, well now I am a millionaire and they aren’t. I let my action to all the talking. Great article. Haters take no responsibility for themselves. They justify their position in life by blaming others. Once again JT turns lemons into lemonade and adds value by setting up a legal team and fund to not only help his own organization, but for his clients as well. Thank you JT! JT FOXX, you are an amazing individual. You see a problem and experience it yourself and then you go out of your way to create a solution for others. This is such a true reflection of who you are, always willing to help and assist your #Familyfirst members and students through being an example. Thank you for all the sacrifices you make on a daily basis and for all the support and amazing products and teaching. Haters remember: the Wolf pack will ALWAYS stand by their leader and will always have results to show just how wrong you are. BOOOOM!!!! It’s high time for the haters to be taught a lesson. They picked the wrong person to mess with. Good luck with the JT Foxx hurricane about to hit!! I respect you for still keeping your focus on doing good, changing the world and not allowing this to steal your dream. None of us will be able to understand what it’s like in your shoes. To build your brand with every fibre of your being, against all odds, 24/7 and to have no-names constantly trying to shoot holes through it. You can change how they treat you but you don’t allow their treatment to change you. Proud of you! I have been nothing but impressed by you JT Foxx. You came to little Wellington New Zealand and set me on fire to think and action plan a bigger reality for myself. Everything you said stacks up and you’ve delivered on all your promises. This is just typical behaviour from disenchanted delusional people but you’re right, you do need to stand for truth and you don’t abandon the sheep just because wolves are circling. Great blog JT. My business has had a 300% growth thanks to you and your team of coaches. Exactly.. I had a personal growth of 1000%.. and am only one month in.. cannot wait to measure business success by year end.. I anticipate a double up.. Fully agree. There is no way of “letting in go”. Some competitors take “do whatever it takes” too literally. Congratulation and respect for taking on a really big problem of our day and age. Whether you have a startup business like I do or an existing one – big, mid or small, JT Foxx provides valid and consistent strategies easy to be implemented in your every day business life and not only. Have bought more programs (networking with millionaires, the wealth workout) and event tickets (megaspeaker) from him and singlehanded he has over delivered the promised initial offer. I don’t know how about you, but I don’t see a trace of scam here… all of you are free to choose what suites you best, but false claims are unfounded, hence destined to perish. So true, people who are happy don’t try to bring others down. I am speechless and it hurts, it hurts seeing all these comments from people that even didnt buy into your program. I also have visited seminars that I didn t like as well / and I even wouldnt mention the names here, I got up and left and said to myself, alright this was not the right thing for me. And that is it. Nobody is the right thing for everybody. Fullstop. They should just shut up. #JTFOXX, your #familyfirst will be on your side, no matter what. Don t let the haters discourage you and your vision. It blows my mind how people can hate when someone passionate about adding value to the world and giving away LIFE CHANGING information for FREE at an event can actually sit there and write a blog about what they didn’t like about the event. I will NEVER understand these people. I was at your event for 11 hours and was fully focused the whole time about what you had to say and I wasn’t the only one! That is not easy to do, to keep a large audience interested in what you are saying for that long?! If it was everyone would do it. Maybe thats why they are offended? Instead of being grateful and implementing the information into their lives, they sit there and give bad energy to the world and try and ruin the good someone is doing. Your coaching and program has changed my life. I have learnt how to manage my time be more productive and have more time and not be so overwhelmed, how to remove fear, have the confidence to do all the things I love, how to prioritise and get things actually done, my memory has improved, learnt the importance of branding sales and marketing and the list goes on… I am unbelievably grateful for the things I have learnt from you. Thank you! – Eleanor Roosevelt. ….and jealous, unfulfilled, bitter, ignorant minds – aka haters – discuss lies and distribute negativity. No they’re not worth it but well done and nicely played for biting back and squashing their BS! Let the lawyers kick off and keep your energy where it is needed and most appreciated – by all of the thousands of people you help, support, motivate, inspire and propell forwards in business!! You are a true inspiration to this world! !! Go get them JT! I’ve been following you for almost 4 years now, and I can attest your events are full of amazing content and amazing people. I know many of them personally, and their lives improved greatly from your teachings and I grew a much better person from them too. The haters have to stop, it is so cheap of them to try to undermine you while staying hidden. It is very low and shows their own hate for themselves. Thank you for everything you do for the world JT!! My sincere thank you for the Mega Speaker events and for doing it for women. I attended in Sydney, Australia recently and it honestly changed my life. I bought the CDs and two day events package and as a result of studying your program I am now hosting my own one day events around Australia next year, inviting women to speak on stages and giving them the confidence to do so. It’s something I’ve been planning for a few years but didn’t do. Meeting you was life changing and gave me the confidence to go for my dreams and goals! JT and his coaches helped me to take my business to a whole new level so I can live a life I always wanted. For the haters nothing has changed. They just dreaming of having a better life but nothing will ever change as they too busy creating fake reviews. Your events have helped many. Thanks so much. JT Foxx I am so glad I saw this now.. as I have to comment..I had many wonderful things and people happening in my life.. and You And #Familyfirst is right up there in the very top. I am only starting and am still a entry student.. and already I am on fire.. making deals..meeting fab fab people..and I know my life..my financial future..my “dreams” will come true..as I am an Action girl since hearing you for the first time. What you are doing in my beloved South-Africa is beyond my wildest dreams. THANK YOU..THANK YOU. How anyone can be against you..is ..I just don’t get it. Look at the lives..people..businesses. .countries you are changing to be alive..to be kind..to be successful. .to grow..to care..it is just amazing. I am looking forward to the rest of my life..because of you.. Go Get Them.. You the leading Wolf..myself..and many many of my new and old Friends are Right next to..behind You.. We Ready. . #FAMILYFIRST.. and name the haters..lets see how big mouth they are then.. Thanks Again. . BLESS you.. We Adore You.. . There is no doubt for me what JT’s mission is and what he stands for – and that is to inspire people to improve themselves, accelerate business and drive for results. His team moved me from a place of being burned out to being re-invigorated about my future business moves – and that was priceless to me. In addition, I now have a published book and have been on radio, tv, and speaking – and I am only at the beginning. Thank you, JT, for creating a ‘world-class’ network of exceptional people and don’t let the ‘un-classed’ get the best of you. My JT Foxx Mega Speaker Review is that it was one the most transformational events of my life. I can’t understand why a person with no money and didn’t buy anything would try to bring other other people. I guess there is a reason why they have no money. The world is crazy as it is, not sure why people hate! I never thought I would meet a person like JTFoxx, the impact he has had on my life and perspective is immesurable, and just getting started. He backs everything up by facts. I am to have found the perfect mentor match for me. Personally I dont care about anyone who hates me haters simply dont exist. but I understand how offensive and disturbing it could be when fake people start a campaign of attack on one work and reputation. Yet The Facts remain the same. JTFoxx Haters….Results dont Lie.. In many occasions i think it is people being jealous to see others have succes where they dont. What they dont see is what others had to do to get to succes. From my side i can only say that i am happy to have met you and even happier for the opportunities you offered. I am still in that learning curve and have yet to come to fully understand everything. In the mean time ill put every day (hopefully) a step forward knowing very well that there is a team of people who are there to support and help me along the way. Thank you JT. Looking forward to meet again. Thank you JT Foxx for changing my life. JT Foxx you are the real deal and don’t worry about the haters because they are losers because they never took action. They are haters because they hate the reflection of themselves. JT Foxx we believe in you. Haters actually have that much love for you but can’t admit it & aren’t aware so when the feeling of admiration flows through them, it gets filtered out as hate. Poor folks! They actually have that much love for you but can’t admit it & aren’t aware so when the feeling of admiration flows through them, it gets filtered out as hate. Poor folks! JT go gettum. Takes energy sometimes, but a persons gotta fight for their rights. You have done nothing but prove what you can do, show what you can do, and do what you can do, what more can a person do? I have learnt that in this world, no matter how good you are, how ethical you are, how fair you are, there are always Fookin arseholes who think it is their duty to bring you down, the righteous ones, they ones who think what they think is right and that is all that counts, the ones who feel entitled. I think they are the ones who sold their soul to the devil and therefore can only bad mouth others, and their life must be so sad. oh well, karma can strike. You keep doing what you do, co it matters and you have people who care, who appreciate and finally are damn proud of you. thankyou for being part of my life. I totally respect where you are coming from JT! I have the same type of personality where it takes a lot to make me mad, but once you get me there….look out! You can’t expect to treat people like crap and drag their name through the mud just because you think you can and there not be consequences! These “haters” are not successful people, nor will they ever be. People who hide behind walls and fake names really are trolls (and not the cute kind). They are miserable and will do anything to make others miserable. Now that I have agreed with you, let me share a little about what you have done to change my life!! I am a single mom of an amazing 14 year old son. I had just lost my mom a week before meeting you. I was ready for change in my life and I have always wanted to be a speaker and an author. I had dreams. I had some experience but wasn’t sure where to go from here to reach the level I wanted. Then I met you! I went to one of your Free Mega Speaker events literally one week to the day after my mom passed. I KNEW this was my opportunity to grow and we HAVE to take action in order to move forward. I DID! That was 5 months ago and I am happy to say I am on my way to seeing my vision happen. I have been in a jet stream since the day we met. I have been learning so much from you and your Wealth Workout – Thank you for that! What people don’t see is the man who really cares for people. He tells you what you need to hear, not what you want to hear. He truly wants to see you grow and succeed! I am proud to be part of the “family”! Results don’t lie, I learned that from you. Hello JT Foxx thank you for coming to Barcelona at this month.I can’t wait to see you and your team here in Spain.I have started my journey many years ago,which I saw ,law of attraction documentary.I spent a lot of difficulties without any coach or leader or protection.The only one was holy God,who taught me and talked to me .My life was difficult with a lot of ups and down,but I did my best and I achieved.Within all of that dames tough years ,no one helped me but,as I achieved success my friends and colleagues start hating me for no reason.Some times I could help them ,something not.Its all depends on themselves.if you ask me how do you feel about them?I will definitely answer they are respect me and wishes to be like me.They knows how hard life it was and how worrier I was.I love to help them and see their smile.when I talk to people about my journey ,I feel the tears of believe in their eyes.Thanks God that gave me such a gift. I saw many things just by imagination and all of them came true one by one.I am completely sure the law of attraction works for me. We could help each other to make the world as a better place for everyone. Since being a client of JT Foxx for 2 years I can say without a shadow a doubt that I would have never achieved my level of success without his first class organisation. Anyone who says otherwise never paid attention or applied a single word he taught. Your blog was a powerful read, I could feel your disappointment turn to unwavering strength & courage, Mr.Foxx. Your dedication to the betterment of mankind is obvious to the general public and more so to those who adore you. You do not stand alone & will always have people who appreciate you, have your back. 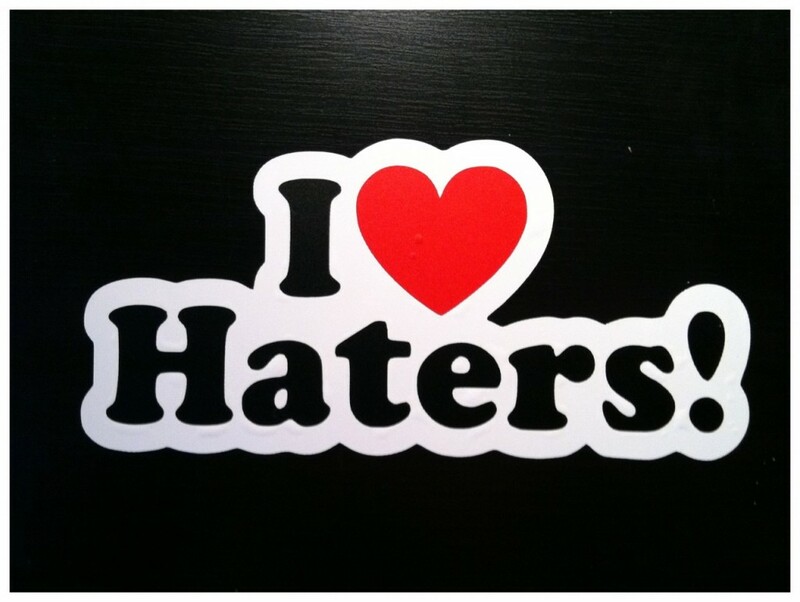 Many moons ago, my mentality was as follows, “Eh, yo haters!!! I welcome you with open arms, so I can throw you in the firepit that keeps me warm at night.” So I can understand where your coming from. Just remember this…. Haters are prisoners of their own misery where their internal war has taken over them. These people become desperate and not knowing what to do, they lash out and try to dim down the brightest light in front of them (you) because the darkness they wallow in has made their eyes too sensitive to the light. I feel sad for these people but perhaps they will learn from tough love or flat out the hard way. Whatever the case may be, I pray we all learn from each other & grow to be better people, together. I have deep respect for you, the course of action you have taken is necessary. Stay bold, protect yourself. You deserve to be treated fairly. Thank you for ALL that you do, Mr. Foxx. You’re genuine desire to help others is invaluable. You are paving a brighter path for our children!